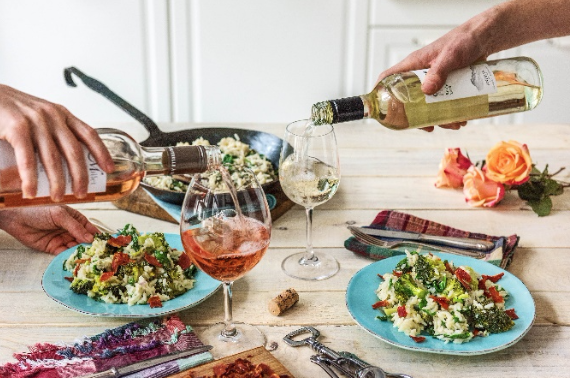 HelloFresh, the world’s leading meal kit delivery brand on a mission to save home cooking, announces the launch of HelloFresh Wine, offering customers monthly wine subscriptions complete with pairing suggestions, tasting notes, and flavor profiles. With wines from all over the world, the service allows subscribers to enjoy HelloFresh-selected wines on all occasions, from dinner parties to casual nights in. HelloFresh Wine will be available for purchase starting May 17. Distinctly expanding their product options, this announcement comes on the heels of the recent addition of breakfast recipes to HelloFresh’s weekly menus in March 2017. HelloFresh’s wine service is the first new product launch since the HelloFresh Family Box was launched in January 2016. Conveniently delivered to customers’ doorsteps, monthly subscriptions will include six full-size 750ML bottles with options of red, white, or mixed cases. Every box will come with pairings that correspond to each month’s HelloFresh recipes. Subscriptions are $89.00 + tax per month and shipping is included. Just like the HelloFresh meal subscription, customers will choose their preferred delivery day and can pause or cancel at any time. HelloFresh Wine will also be available to non-HelloFresh meal customers. For more information please see www.hellofresh.com/wine.